which will take place at the Athens University of Economics and Business on 7 & 8 November 2017. 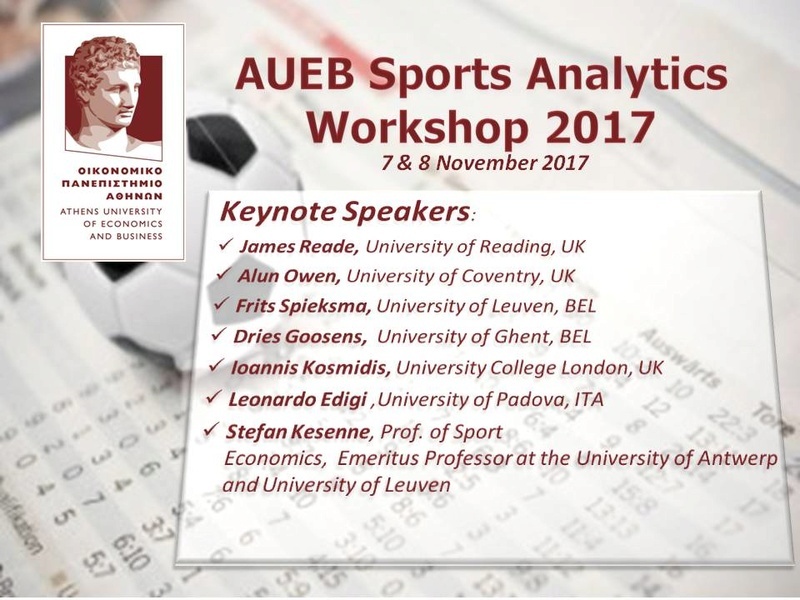 The aim of this workshop is to bring together professionals and academics with common interest on applying cutting edge quantitative methods on Sports. All talks are currently scheduled from 15.00-21.00 and some last minute talks or events may also be also added on the Morning of 8th of November. The organizing committee can accept a limited number of additional contributed talks by academics or professionals that they wish to share their work until 30th of October 2017 at ntzoufras@aueb.gr. In parallel with the workshop, the distinguished professor Stefan Kesenne will offer a short course on Sport Economics. The first two lectures are free for the workshop participants (with no extra fee) while someone can follow the full course (with attendance certificate) with a small extra fee. Details follow at the end of the announcement. The positions for this course are rather limited. 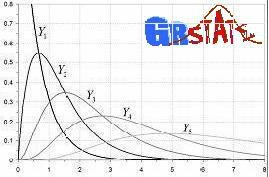 The workshop is sponsored by the Postgraduate Studies in Statistics of Athens University of Economics and Business and Society of "OR in Sports". • James Reade (University of Reading UK): Betting prices and user predictions: what affects relative performance? • Ioannis Kosmidis (University College London, UK): Statistical Modeling of availability-to-train in elite sports. • Meletakos Takis (AUEB Sports Analytics Group): Shooting efficacy: Is it the the most important factor in top level men's Handball? Stefan Kesenne is an Emeritus Professor at the University Antwerp and University of Leuven. His research has set the basis of the modern theory of Sport Economics. He is the author of the book "The Economic Theory of Professional Team Sports". Professor Kesenne serves as the academic advisor of the group in topics of Economic theory and issues related with competitive balance. He will also one of the main tutors in future seminars, conferences and events of the AUEB sports analytics group. This is the third year that Stefan Kesenne is offering this course in our University. Location: The first two lectures will be in the main building of AUEB (Parision street 76, Athens) at the Amphitheater of the Antoniadou Wing (denoted AA). The next three lectured will be placed in the postgraduate building of AUEB (47Α Evelpidon & 33 Lefkados streets, 11362, Athens). PB: Postgraduate Studies Building of AUEB (47Α Evelpidon str. & 33 Lefkados str, Τ.Κ.11362, Athens).